The French forward was in fine form at Camp Nou and opened up the scoring for Barcelona after Gerard Pique dribbled past two Leganes players before the ball found Jordi Alba on the left wing to set-up Dembele for the opener. 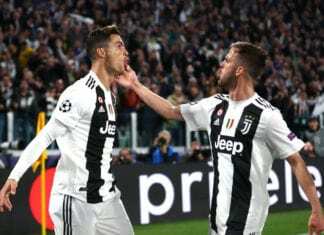 But a tangle with Leganes’ Mikel Vesga caused Dembele to sustain a sprained left ankle, which meant he had to be withdrawn for Malcom in the 69th-minute of the game. Barcelona have now confirmed Dembele’s injury and revealed that more tests will be undertaken today. “The Frenchman suffered a sprain during the second half of Barça-Leganés and he will undergo further tests on Monday to know the exact extent of the injury,” read a statement on the club website. 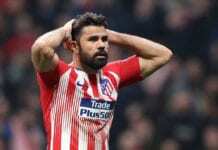 The 21-year-old will be praying that this doesn’t spell another long stint on the sidelines after spending most of his debut campaign out of action for four months due to a hamstring injury after joining Barcelona for €105m from Borussia Dortmund. 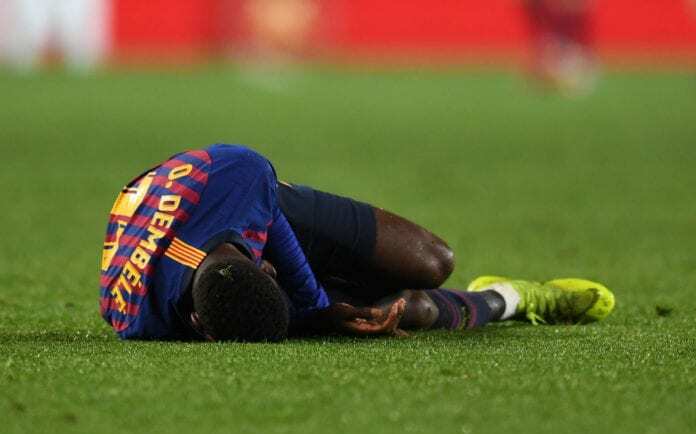 Speaking after the match on Sunday, team-mate Sergio Busquets praised Dembele’s performances this season and expressed his hope that the Frenchman’s injury is not a serious one. “I think recently he has been playing really well. After all of the debate and the controversy, I think he’s become more confident,” Busquets told Movistar. After Leganes’ equaliser, Lionel Messi came off the bench to play a part in Luis Suarez’s goal before completing a 3-1 win for Barcelona with the third goal in the dying moments of the game. Ernesto Valverde’s side, who sit top of La Liga by six points from Atletico Madrid, will next face Sevilla in the first leg of their Copa del Rey quarter-final clash in Andalusia on Wednesday.